The quest for the flying car has presented many hurtles. How do you design a plane that can seamlessly interact with the highways as easily as it travels the sky? A Slovakian firm believes it has the solution. 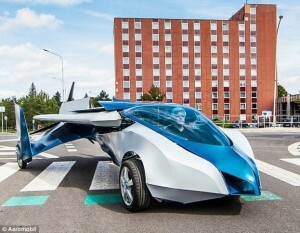 The AeroMobilcan fly 430 miles on a tank of regular gasoline and when its wings fold down, it’ll fit into a normal parking space. 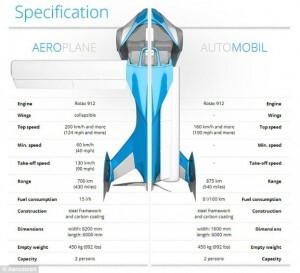 Aeromobil is a ‘flying car’ that perfectly makes use of existing infrastructure created for automobiles and planes.